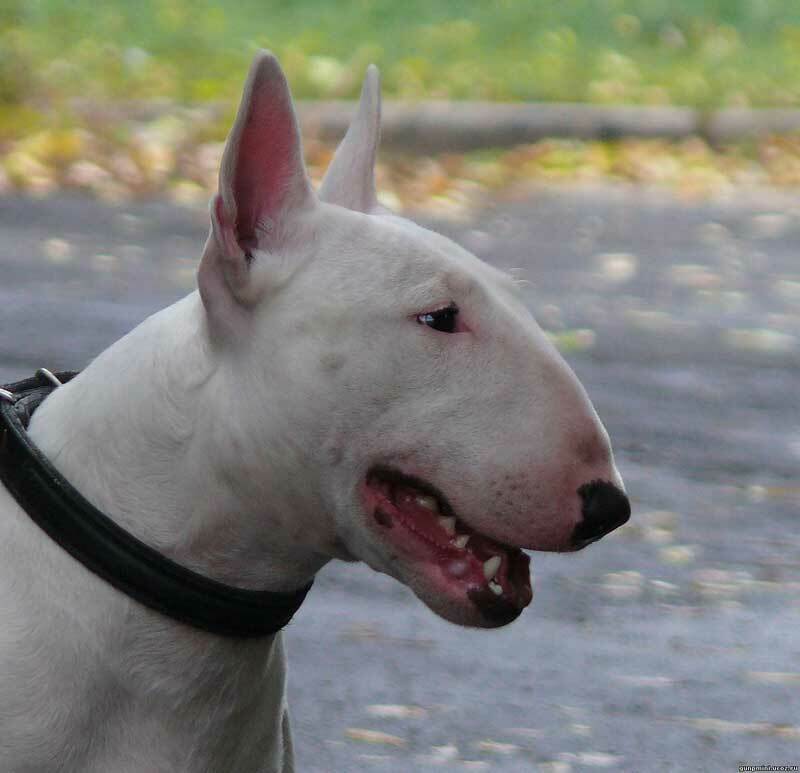 Bull terrier: character, training and content of the bull terrier. 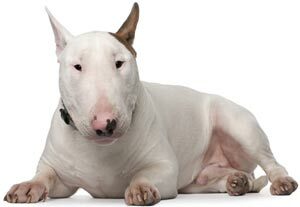 Contrary to popular belief that the breed of bull terrier dogs are terrible killers and haters of people, these animals are the exact opposite of lying rumors. 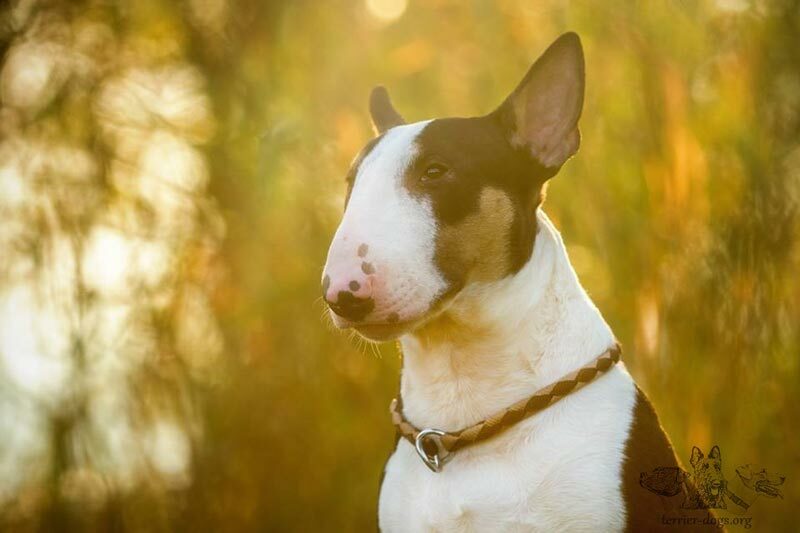 The Bull Terrier is a dog devoid of any aggression towards humans or animals and, perhaps, is no friendlier to any living creatures than the Bull Terrier creatures. Do you have a large family with many young children? Bulls will love them all and stand firm even the most rigid innocent children's pranks. 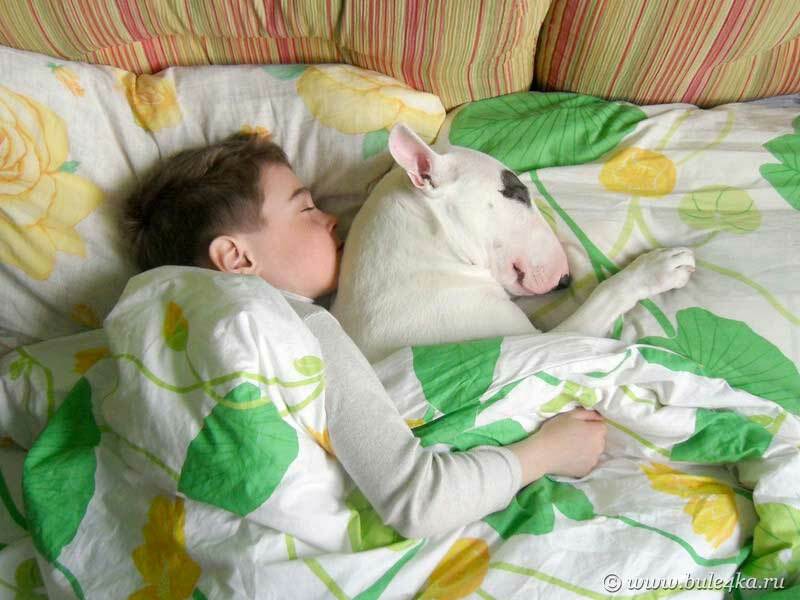 Of course, the parents are obliged to follow the communication of the child and the dog, but the educated, trained bull terrier is not more dangerous than the soft pillow lying on the couch. Bull terrier breed is active, and will give away literally everything for the opportunity to frolic on the street. Most of the time for taking care of the dog takes paddock, since you do not really need to look after the bullet. On walks you will meet people walking with their dogs and see how bully are friendly towards all living things! The Bull Terrier will be so excited about new acquaintances that anyone who agrees to play the game "will play to death." 44-51 см. Height: 44-51 cm. 26-35 кг. Weight: 26-35 kg. 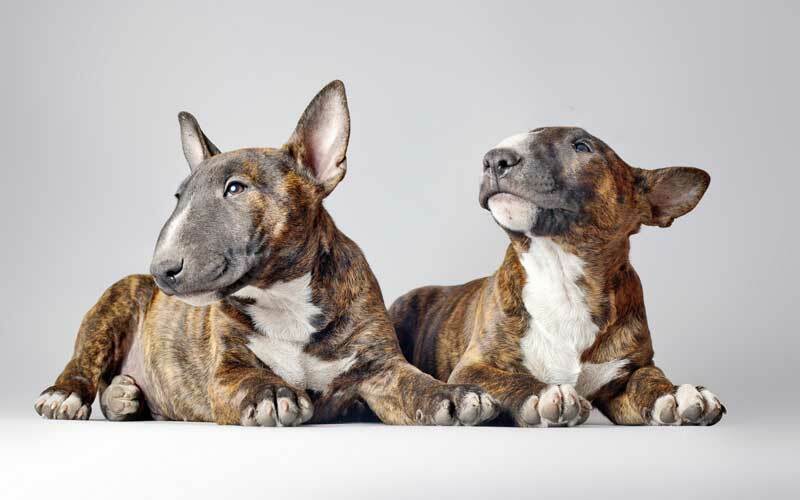 How much does a bull terrier puppy cost? до 250$. "With hands": up to 250 $. до 350$. PET-class: up to 350 $. от 500$ до 850$. BRID-class: from $ 500 to $ 850.
около 1100$. SHOW-class: about 1100 $. не более 2х раз в год. How many times to bathe: no more than 2 times a year. в тепле, дома. Preferred living conditions: warm, at home. 11-14 лет. Lifespan: 11-14 years. Группа 3. Group FCI: Group 3. Секция 3. Section FCI: Section 3.
ниже среднего. Complexity of training: below average. бультерьер выступает исключительно в роли друга, члена семьи. Where it is used now: the bull terrier acts exclusively as a friend, a member of the family. очень дружелюбное. Strangers: very friendly. очень дружелюбное. Children living in the family: very friendly. очень дружелюбное. Animals: very friendly. около 1,5 часа/день. Duration of the walk: about 1.5 hours / day. обожают активные игры, бег и будут рады пробежаться рядом с хозяином на велосипеде. Intensity of walking: love active games, running and will be glad to run next to the owner on a bicycle. Love everything alive: children, adults, dogs and other animals. Cheerful and full of energy. It is not easy to train. 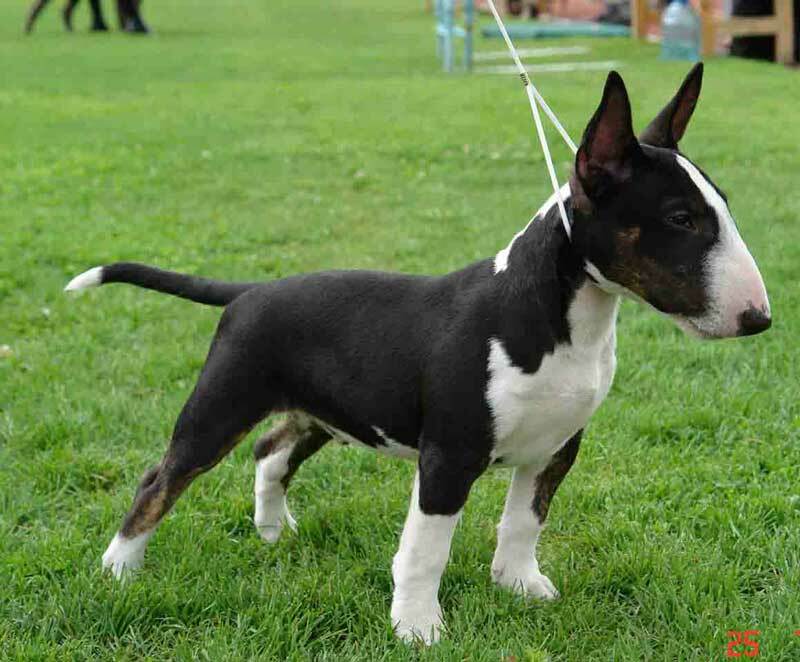 Character and description of the breed of dogs bull terrier. Who will approach the breed? 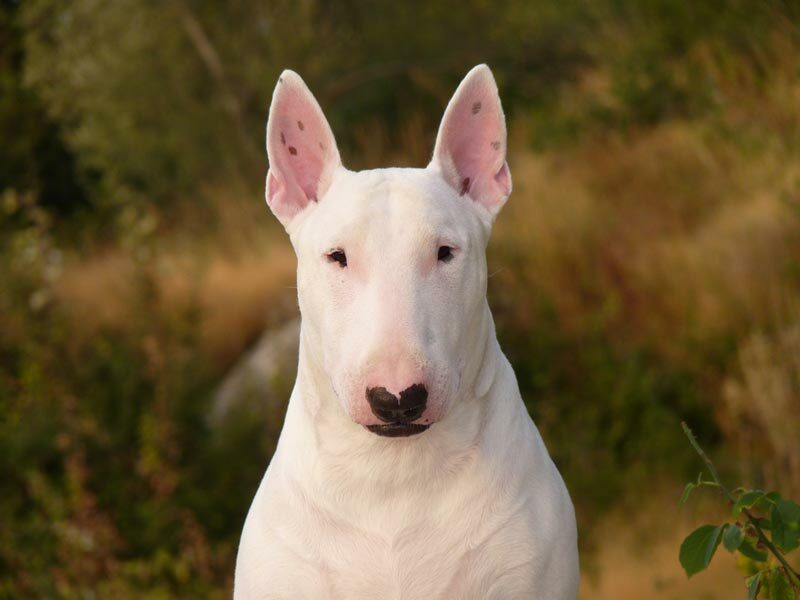 The character of the bull terrier is completely different from what the media and semi-literate people say about it. Bull Terrier dog is complaisant, obedient and very affectionate. Bulls adore everything that has to do with life: people, young children, dogs and any animals. That is, aggression is not inherent in the breed at all. Of course, it is possible to make any dog ​​maliciously banal without bringing it up, but with a responsible attitude towards training the boules will definitely not be a threat to anyone. 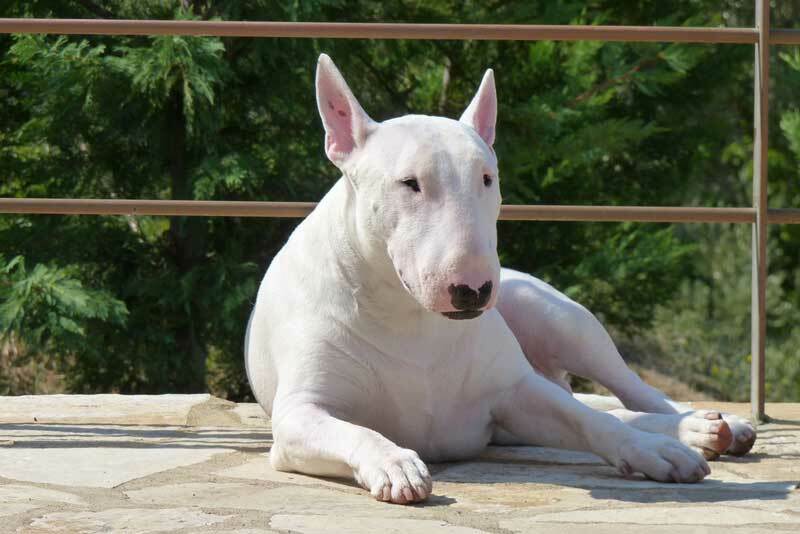 Although the aggression is not inherent in the breed, however, the insufficient amount of physical exertion, which is extremely necessary for the active bull terrier, can lead to the fact that the dog will deduce excess energy through various antics and, in particular, aggression. The owners of the bullet should pay attention to the paddock at least 1.5 hours a day, so that the strength of the dog took away the games, running and other activities. After a walk it will be much easier to train an animal for new teams, it will be more obedient and calm. 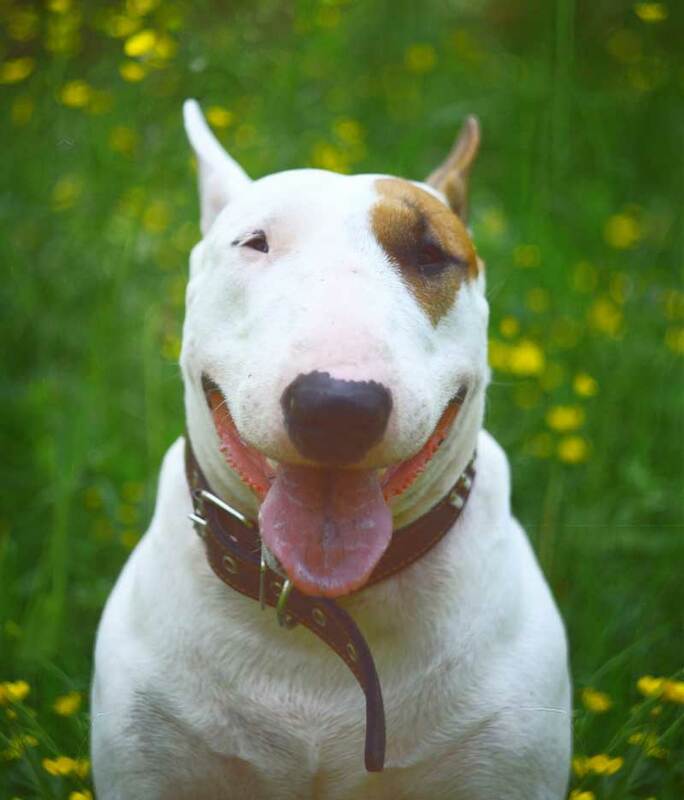 The Bull Terrier breed is friendly, and therefore will join any family where dogs are loved, ready to provide good food, education and enough walking. Boule will feel great in the company of a lonely person who has time for active paddock, in a married couple or even in a large family with young children and animals in it. So that the dog always obeys, be sure to devote time to it. 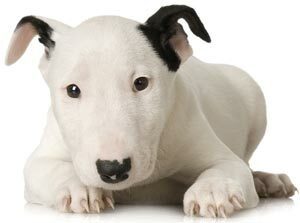 Maintenance and care of the bull terrier. Care for the bull terrier is almost unnecessary. There is no need to take care of the dog's hair. Just wipe the fur of the pet with a wet terry towel, and use it in case of excessive contamination of the coat on the ground. Bathing boules is often not recommended, it is better to do a few swimming in a year. 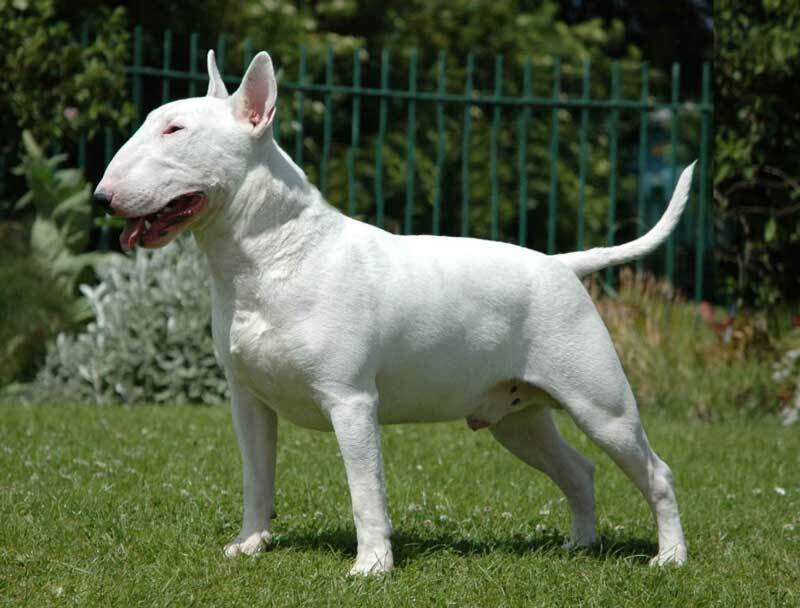 The main duties of the owner to care for the bull terrier are reduced to the need to provide a full-fledged paddock. In this case, the owner will benefit not only from the help of other family members, but also the necessary commands like "aport" and "give." Constantly throwing a stick to the dog is a tedious task, and so get some tennis balls and buy a special slingshot (about 900 rubles). These tools will help to throw the ball into much larger distances. Instead of the slingshot you can do with a cheaper, affordable and no less effective device - sling. Staffordshire terrier character is very kind, affectionate and flexible. You can safely treat the breed as a friend in a family with children. Rottweiler character can show as a small puppy. This will be expressed in the form of a roar or even more aggressive behavior. It's okay, just the breed likes to lead, and the owner needs to properly educate the dog. The dog Jack Russell Terrier is a source of inexhaustible joy and energy that the master needs to be able to control. The food of the bull terrier does not differ from that of other dogs. Taking the puppy or adult in the house owner should decide what food will be their pet: natural or dry. Feed only one type of food, as mixing their owners risk the health of the dog. What is better to choose? The question is not simple. Dry food is better to buy one that belongs to the super premium class - it contains much more useful substances than in the feed classes lower. Not everyone has the opportunity to purchase expensive fodder, and therefore instead of drying the middle class, it is better to feed natural products, that is, to make a diet individually. It's not difficult, just make sure that there are all the ingredients in the porridge for the animal. 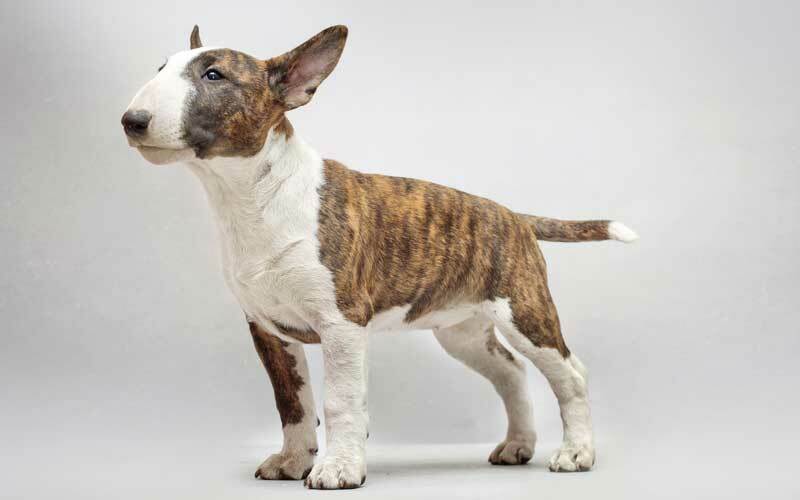 Upbringing and training of the bull terrier. Training bull terrier will be really difficult work, especially for those who are engaged in this for the first time. It is better for inexperienced people to immediately register for a training course and take classes responsibly. You need to be prepared that the cynologist does not teach the dog for the master, does not teach her good behavior, and all responsibility for the result of training will fall on the shoulders of the master. 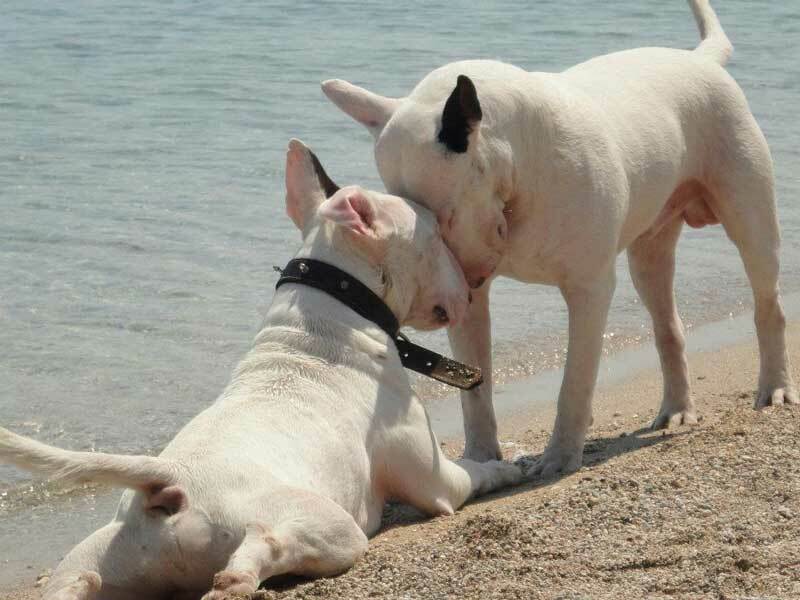 It is not necessary to know the whole general course of training for a bull terrier, but the dog should know the commands "to me", "next", "fu", "place", "sit", "lie", "aport" and "give." Their boules will be heard every day and, therefore, one must work hard to train, so that the dog will perform the command from the first time and prefer the owner's order of any other joy on earth. This is quite possible even with such a stubborn as a bull terrier, but only if the owner is working properly and diligently. Education of the bull terrier puppy begins from the moment of its appearance in the new house. The owners are better prepared in advance and gradually learn about the articles on education and training on the site, but since all at once no one can remember is not in a position, it is necessary just to solve the problems in the behavior in time, to train them in time and to achieve obedience to the teams. If to explain intelligibly, the bull terrier will quickly understand where his toilet is, stop taking food from other people's people and pick it up from the ground, refuse to jump to the master with his paws at a meeting, will not bite his hands in the game, give up the habit of gnawing things in the house and generally will only please the owners with good behavior.